About 20 traditional leaders from Jubek State counties have gathered in Juba to participate in training on the harmonization of customary laws and statutory laws in South Sudan, and the alignment of traditional practices with human rights standards. The two-day training which will end on 5th April is organized under the theme “Training on the Principles of Justice”. It will build upon resolutions agreed upon during last year’s annual rule of law forum and identify inconsistencies with laws and for further alignment with the South Sudan Bill of Rights, legal principles of the formal courts and international standards, by emphasizing on women and children’s rights. The training programme is guided by a joint manual developed by UNDP and UN Women, and facilitated by UNDP’s Support to Access to Justice and Rule of Law Project in collaboration with national and state Local Government Board authorities, legal administration offices, UN agencies and civil society. Speaking during the opening session of the training, the Minister of Local Government, Law Enforcement Agency and Parliamentary Affairs, Jubek State Alfred Kiri Yokwe, said that the training aimed at improving on the principles of Justice in South Sudan. Yokwe said using the customary law in carrying out justice does not guarantee the rule of law. “We can not only use the customary law in carrying out justice but we have to integrate these human rights issues on women and child rights, and we have to update the capacity of our chiefs in carrying out justice in their courts,” Yokwe said. He added that the two-day training will provide an overview of priorities set forth by the Ministry of Justice, the Judiciary of South Sudan, and local government leaders, as well as provide an opportunity for interaction with traditional leaders. Meanwhile the President of the Greater Equatoria Circuit of the Judiciary of South Sudan, Justice Stephen Simon stated that the training will streamline the operation of the traditional courts so that the customary law may not conflict with human rights. Justice Simon added that the training is enhancing the knowledge of the traditional leaders on human rights and gender mainstreaming will enable them to mitigate gender inequality and aligns the traditional courts to the constitutional standards. “This is meant to enable them apply the customary law in the traditional courts so that it does not conflict with human rights because we have some of our traditions which are not contrary to human rights,” Justice Simon added. Simon stated that some customary laws in South Sudan prohibit women from inheritance which is against the constitution. According to the South Sudan Transitional Constitution 2011 as amended Article 28 (1), every person shall have the right to acquire or own property as regulated by law. According to UNDP Senior Adviser, Democratic and Stabilization Unit (DGSU) Mr. Lealem Berhanu Dinku, said the training will foster in aligning customary laws with international standards and the South Sudan Bill of Rights will improve the ability to administer justice effectively. Customary law is an integral component of the justice system, with customary law recognized as a source of legislation in the Transitional Constitution of South Sudan (2011). Customary law and statutory law operate side by side in South Sudan, thereby creating a legal pluralist system. 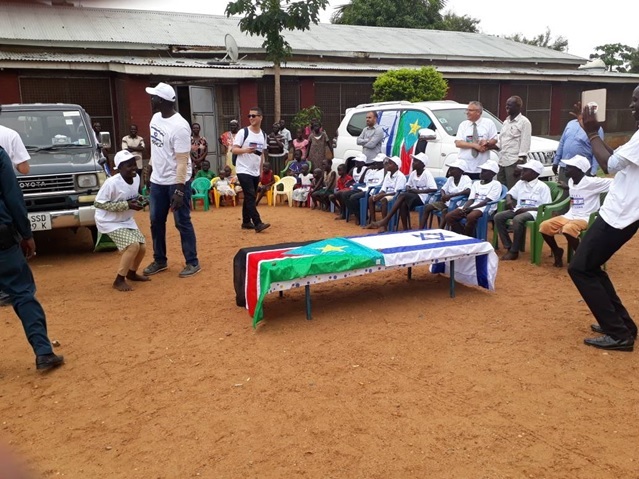 In 2018, UNDP developed a manual for the training of traditional leaders in partnership with UN WOMEN and has trained over 300 traditional leaders in Aweil, Torit, Bor, Wau, and Yambio. These trainings have resulted in increasing awareness in the application of the rule of law and an increase of women adjudicating in customary courts. UNDP has also supported the ascertainment of customary law of 22 communities in South Sudan. The ascertainment project sought to assist rural communities in documenting their customary law, and to serve as a basis for future capacity building and delivery of quality justice services. These documents have now become resource materials which can be used to guide decision-making processes of customary and traditional courts, thereby ensuring consistency and predictability.